- be part of the journey! 2013-02-18 Andy Hawk feat. darkplain - Where Are You The result of an amazing collaboration with Andy Hawk and darkplain. Based on the great success of the podcast series "Journey", it is now available as an official iTunes-Podcast. Listen to it anywhere, anytime, for free - just subscribe the Andy Hawk Podcast on iTunes. Massive Playsupport for Andy Hawk's new single "Where Are You" which was made together with darkplain. 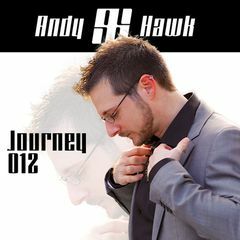 The official Musicvideo related to "Andy Hawk feat. darkplain - Where Are You" is spread to the world right now. Check it out on YouTube - be part of the Journey.